Sophomore Meryl Federman and senior Adam N. Hallowell keep themselves busy during a break in the action at Brown University’s early fall tournament. Bruce Arthur, the only graduate student on Harvard’s team, is in his second year at the Law School. 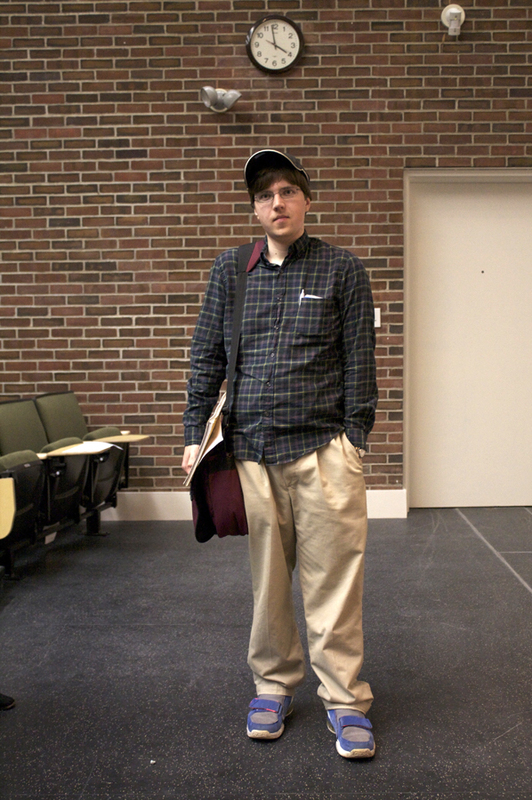 A history expert, Arthur played for the University of Chicago’s storied Quiz Bowl team as an undergraduate. Seniors John D. Lesieutre, Kyle Haddad-Fonda, Julia Schlozman, and Adam N. Hallowell are national Quiz Bowl champions. It’s a sport where the mind is the only muscle worth working, where players flaunt their ability to memorize textbooks, and where hand exercises have been prescribed as a means of improving buzzer speed. It’s called Quiz Bowl. And, big surprise, Harvard is good at it. Led by a cast of characters that includes seniors Kyle Haddad-Fonda, Adam N. Hallowell, Julia Schlozman, and John D. Lesieutre—all four of whom played on the team that won a national Quiz Bowl championship last spring—Harvard’s program has built itself into an organized outfit that boasts a treasurer, fundraising schemes, occasional recruiting efforts, and, says Haddad-Fonda, about 25 regular participants. The current lineup is complemented by such luminaries as sophomore Meryl Federman, who last summer won $75,000 on Jeopardy! ; second-year law student Bruce Arthur, who competed as an undergraduate with powerhouse University of Chicago; and freshman Dallas R. Simons, a former star on the high-school circuit. 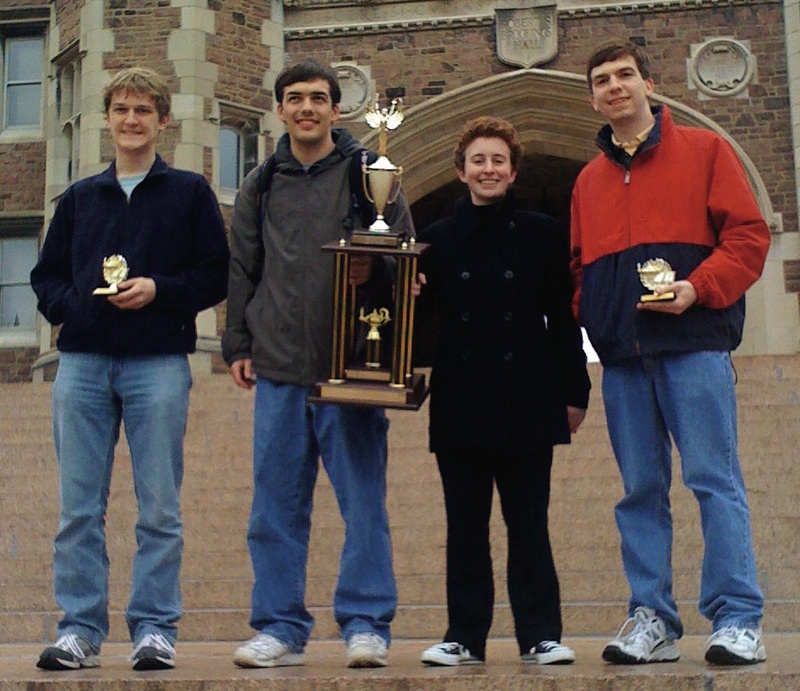 As a testament to its stability, Harvard is able to field multiple teams at the small tournaments held most weekends on the Northeast Quiz Bowl circuit—a Boston-centered division of the national circuit that, according to current club president Andrew Watkins ’11, includes approximately 15 regularly participating schools, some with multiple squads. The team also travels occasionally to larger tournaments hosted in one of the nation’s six other regional circuits (a group from Harvard recently attended a tournament in Minnesota), and to national competitions (last year’s national championship was held in St. Louis). Harvard’s current successes are not unprecedented: the team was a top competitor on the national stage in the mid 1990s, and—given its standing as a haven for Presidential Scholars and those with perfect SATs—is traditionally heavy on talent. But the program is also subject to dormant periods, and was menaced by dwindling participation and a lack of organizational enthusiasm as recently as three years ago. The club’s present standing has much to do with Haddad-Fonda, who arrived in town representing one-third of what some call the greatest recruiting class in Quiz Bowl history (the class of 2009 included the captains of the top three high-school teams in the nation). By his sophomore year, the soft-spoken history concentrator had begun recruiting efforts and had organized the Harvard Fall Tournament—a Quiz Bowl competition for high-schoolers. (The registration fees help fund travel and expenses for the Crimson team). The work has paid dividends. Harvard’s depth and corresponding range of specialties (Lesieutre is expert in mathematics, Federman in literature, Arthur in history) is helpful in a sport that, despite requiring little physical activity, is surprisingly exhausting. Though there are multiple formats, Quiz Bowl is most commonly played in rounds of 20 questions (with each participating team generally supplying a round’s worth as part of its registration). Teams equipped with hand-held buzzers attempt to ring in before their opponents for a chance to answer each question (called a “toss-up”) and its corresponding three-part bonus. Although the answers are short, the toss-ups themselves are typically lengthy, complicated, and delivered at lightning speed. 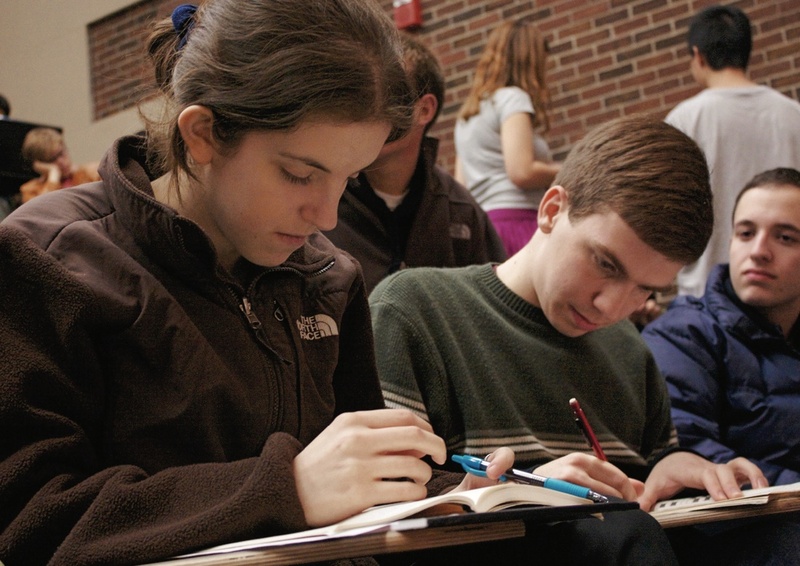 They require a thoroughgoing familiarity with highly academic subject matter in history, science, literature, and the arts (Quiz Bowl’s televised predecessor, College Bowl, faltered in the early 1990s in large part—according to the Quiz Bowl community’s Wikipedia entry—because of concerns about light-weight questions). The best questions have “pyramidality,” with clues arranged in decreasing order of difficulty so better teams can work out the answer sooner. But no matter how good a team is, the heavy-duty material and quick pace of the game take a toll: focus and fatigue can flag even in the half-hour to 45 minutes that it takes to play a round. Schlozman, an art-history specialist, admits to zoning out on questions outside her area so she can save her energy.